20x24, oil on linen panel, 2019. Sold. 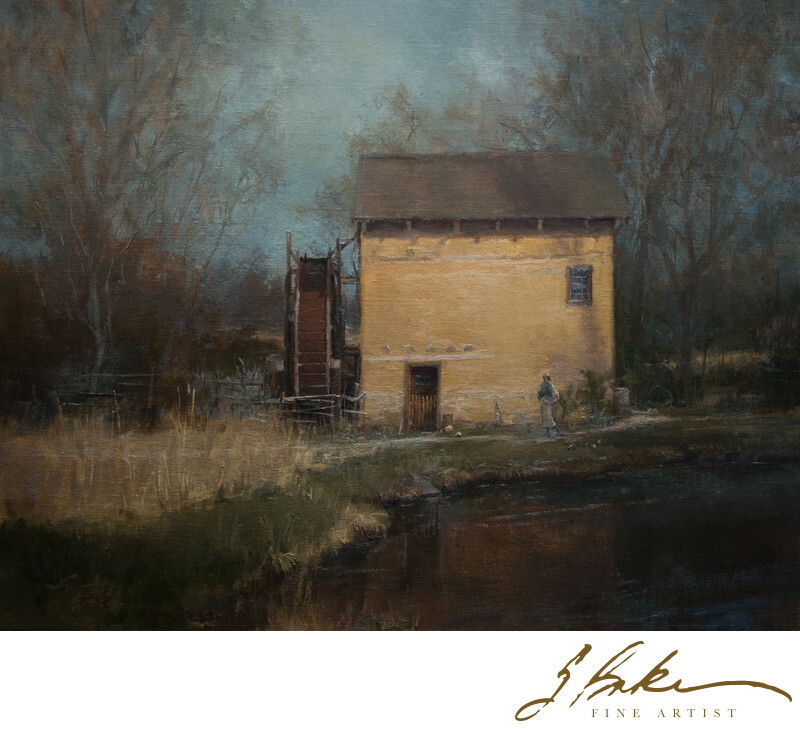 Studio painting from view of the grain mill at El Rancho de las Golondrinas, located outside of Santa Fe, NM. Exhibited in the 2019 Oil Painters of America National Show. In this piece, I experimented with a more layered approach to painting using dry brushing to build the textured, transparent leafless limbs of the winter trees and grasses surrounding the mill.